Last year Nat tried Broken Rice, and I've been wanting to go ever since. As luck would have it, we were recently invited by the owners' son to dine there. Water is usually my drink of choice, but we were given Iced Coffee and Lemonade to try. 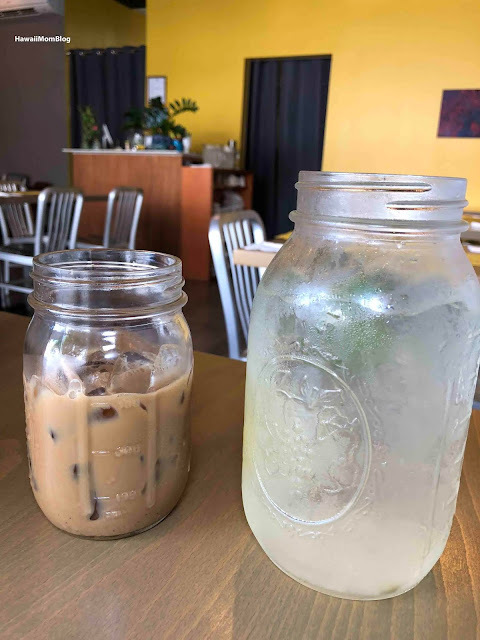 Nat loved the Iced Coffee, which was served with sweetened condensed milk, and the lemonade, which had mint and lavender, hit the spot on such a humid day! 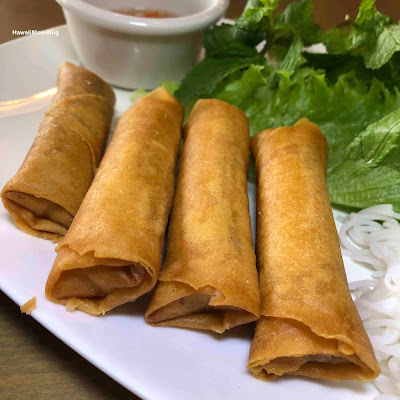 The Spring Rolls were filled with shrimp, pork, carrots, mushrooms, long rice, and onions. They were hot and crispy, and so delicious! 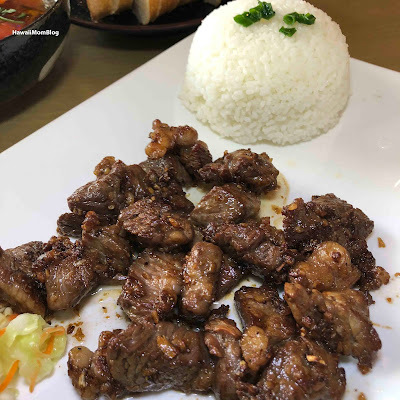 Nat opted for the Shaking Beef, which is one of the more popular dishes at Broken Rice. It was so flavorful! I ordered one of the specials of the day - Beef Rib Stew. It was amazing! I ate the entire bowl, including all of the rice and bread that came with it. 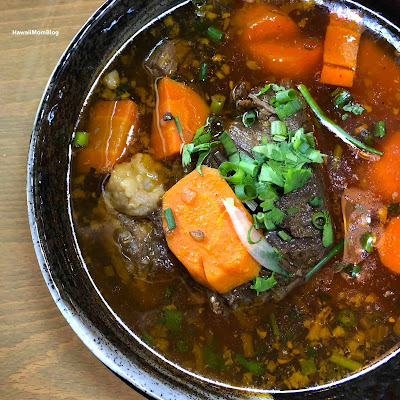 The beef was so tender, and the entire dish was just so aromatic and pleasant. I would hope that becomes a regular menu item! 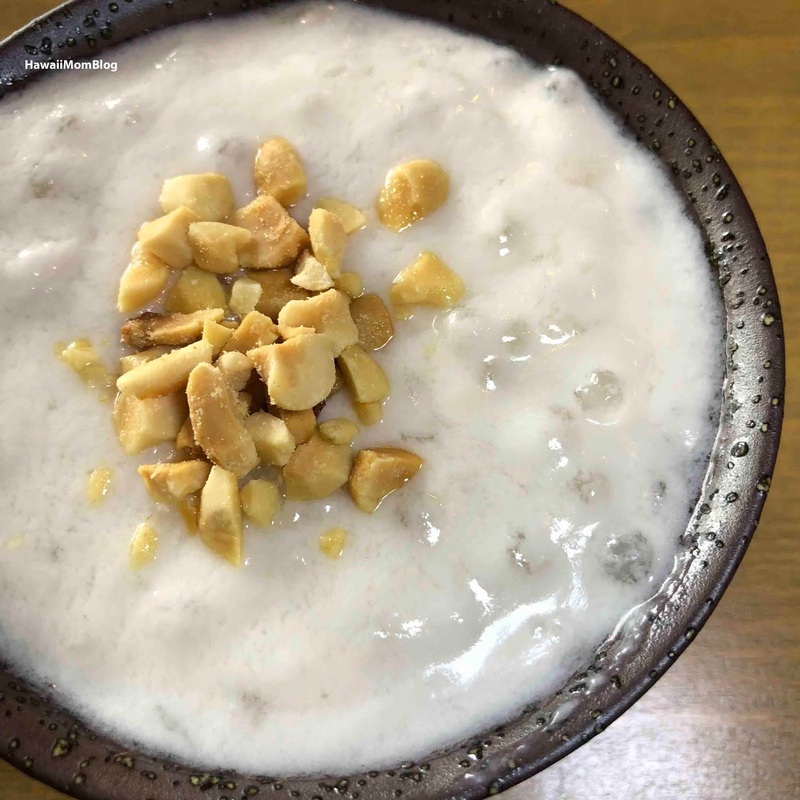 We were going to skip dessert at Broken Rice because we were just so full, but we were surprised with bowls of Tapioca. It was so refreshing! And in case you're wondering, according to the menu, broken rice is "a Vietnamese dish made from rice with fractured rice grains....During the milling process rice grains are damaged while removing the husks. It is as nutritious as the equivalent unbroken rice." 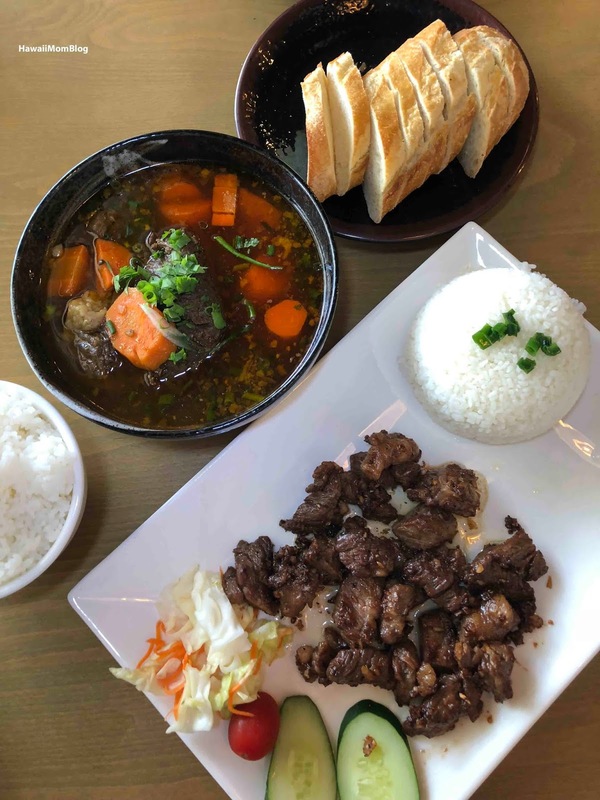 Service was great (it was so obvious how much passion the owners have for their customers and the food they prepare for them) and I am eager to go back to Broken Rice and try more menu items! Our lunch was hosted. Gratuity was paid on our own.